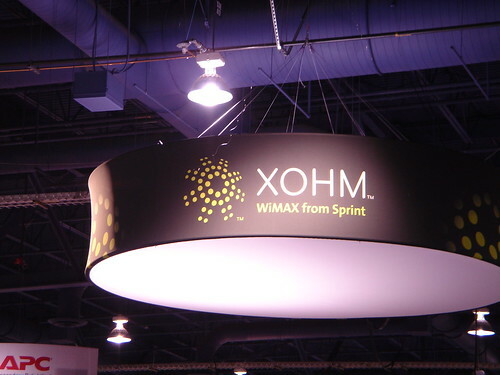 WiMax - is it really the platform for radio? The best thing that could happen to radio is that we stop talking about platforms, and start talking about content. Nobody, but nobody, cares about how they get content. Podcasts, online, downloads, on-demand, live, streaming, FM – they’re all just ways for our audience to get great content. The second was the decision by German’s public service financing committee, the KEF (Die Kommission zur Ermittlung des Finanzbedarfs der Rundfunkanstalten), not to authorise increased expenditure by the public service broadcasters (the ARD) on DAB – the so-called “Re-launch” of DAB in Germany. They listed a number of factors in their decision, one of which was the failure of the largest commercial radio association, the VPRT (Verband der Privater Rundfunk und Telemedien – Association of Commercial Radio and Television) to embrace the relaunch plans. The KEF commented that it might be worth reassessing the technical options available for delivering digital radio, again. So, I’m afraid that whilst I agree with James that content is fundamental, the platform question for radio remains very much open in some key countries. In the UK, we’re lucky enough that Digital Britain has coalesced aspirations into a concrete plan for the digitalisation of radio, despite the complaints of some people. (I wonder if there were people in pre-historic times who complained about “the wrong kind of fire”, and spent millennia grumbling that wheels weren’t sufficiently round enough). In Australia and France and Denmark, they’re getting on with the business of digitising radio with the best platform(s) to hand. Why can’t we close this platform question down? There is not, and never will be, a perfect answer to the question of which platform or platforms are ideal for radio. Radio varies from country to country and continent to continent, and even a century after its invention, the maturity of radio markets around the world varies enormously. It wasn’t a huge surprise to me to see the VPRT come out against change – market leading incumbents rarely want to do anything that disturbs foreseeable profits. In my opinion their projections of digital radio growth were unnecessarily pessimistic and didn’t take into account real-life experiences in the UK and Denmark. Commercial Radio in Germany is far less consolidated than in the UK or France, meaning that there are a great deal of stakeholders to influence and educate. In the absence of education, it’s hard for people to make an informed decision based on inputs from a number of sources. It’s also the case that technology never provides answers, just more questions. As I’ve said before, it’s wrong to ask a clever technologist for a definite answer, because technology is so theoretically adaptable, there’s never a definitive answer. I’ve no doubt that the technical advisor to the KEF (just the one technical advisor, Prof. Dr. Ulrich Reimers, who is also Chair of the DVB Technical Module, and has been involved with the development of DVB-T2) can provide many technologies that theoretically solve the problem of “digitising radio”. So it relies on broadcasters to seek input from technologists, amongst others, to decide what platform or platforms are right for their future, and then do something daring and step forward knowing that they might be wrong. (Although, if enough people do the wrong thing together, it rarely ends up being wrong, and often becomes an expenses policy – that’s a joke for the Brits). How do you minimise the risks of being wrong? I recommend doing some simple checks of technology solutions against a broader picture than just technology. Only once you move out of theory and into reality do you start to get some perspective of what could happen versus what’s likely to happen. What’s the economic viablity for radio? How do the real costs compare against existing FM/AM transmission costs, for individual operators and for the whole industry? Can it scale to current consumption levels in a cost-effective way, or is it only designed to take a proportion of current listening? (Notice I say real costs, not necessarily the costs promoted by infrastructure providers. Do your own homework on how much equipment and infrastructure access costs; don’t rely on people trying to sell you something). How mobile and ubiquitous is it? Will it go everywhere that FM can go now? Can it go in cars, in your hand, in the kitchen, bathroom, office? Is it realistic to have battery powered receivers? How future proof is it? Is it flexible enough to adapt to unknown digital requirements in the future? (This is where I believe HD Radio has a real weakness. HD is “digitalisation lite”, and I believe the HD operators will want more bandwidth to deliver more compelling applications). How many other people are developing on the same platform for radio? How viable is it for consumers? When will they be able to buy receivers be made at all prices levels and complexities, starting at €10 for a simple “transistor” radio? What’s the potential market size, globally? Will consumer electronic manufacturers see a coherent, unified set of service providers, asking for broadly similar requirements? Terrestrial internet works for some of these points, but fails on ubiquity and mobility. Mobile internet (3G, WiMax, whatever) ticks some of these boxes more convincingly than others, but seems to fail on the objective of a universally available low-cost entry receiver. The Internet will be part of radio’s distribution, but not the whole. None of these criteria has a yes/no answer, and each response will vary from territory and technology. I’ll leave it up to you to decide if these criteria are relevant, and to test your favourite digital radio technology against them. I’d be interested to see what you think in the comments. In the meantime, the platform question remains seemingly not just open, but open-ended, at least in the minds of the radio companies who need to make decisions on their futures. Inevitable reiteration of the usual disclaimer – these are my personal views, and not those of my employer. Thankyou for this thoughtful commentary and indeed thanks to James for provoking you! My main reaction is I hope pretty simple: radio is first and foremost at the top of the list of mobile media. For radio to move from the analogue to digital domains it must be, in reception terms, at least as good in all mobile situations as FM is now. Furthermore digital radios must sell at approximately the same price as FM radios – otherwise I see no way it can be equivalent or thus attractive to consumers. I also assume the domain shift requires radio to include some added value aspects for the modern era, though most consumers probably have not thought what they want or need. Digital radio technology can certainly provide these simple requirements and it must also be OK for radio stations, that range from stand alone to those that are part of large companies or networks with considerable technical resources, to implement services on the platform (to use the parlance of this debate). Unfortunately most of the digital radio technical possibilities require multiplexing several stations together and I see this as a real challenge to the radio domain shift. I suppose I have a simple conclusion to make. It seems to me time for the engineers to stop inventing and fix a technology for the platform and then say to the radio stations we have a solution suitable for all radio stations to use on at least a continental basis (although preferably a worldwide basis – however there is no track record for that possibility). Then implementations can go ahead to provide transmissions and radios iniquitously for the benefit of radio users and they will have minimal technical choices to make with plenty of product differentiation from the radio manufacturers who can develop radios knowing a single platform has been selected for very large markets. To comment on my own profession – I think radio engineers have been far too reluctant to steer the choice and to say that a single platform must be selected – it is so obvious, but why do they keep quiet and leave a very destabilising debate to go on month after month? For the eagle-eyed, obviously in last but one paragraph of my first comment, I should have typed “ubiquitously”! But now to James comment: simple logic says we have to know what platform is the choice, so that peripheral matters that may well affect content possibilities have previously been fixed. The trouble is the choice is too wide at present..
It’s a complex question, and thanks for your observations Bev. I see multiplexing as less of a disadvantage as it might seem. Multiplexing allows capacity to be moved around as requirements change, and having bandwidth for future (non-audio) applications seems like a prudent things to do. Multiplexing also allows infrastructure to be shared between operators, reducing the per-station cost. I suspect, now that multiplexers run (as software) comfortably on a mid-range laptop, the small cost of multiplexing is worth paying in order to dramatically reduce the number of transmitters required in the network. What I think we’re struggling with is the choice of “ubiquitous” platform. DVB-S, DVB-C, DVB-T, IP are all capable of carrying radio, and probably will continue to do so (assuming the economics make sense – in the UK, the economics of DVB-T don’t make sense for radio IMHO). But none of those do well against all 4 check points, because none of then are *designed* for radio from the ground up. James is right – nobody cares how they get their content – the consumer just wants a cheap, easy to use device which delivers content to them. The internet is part of this picture – but I see terrestrial broadcast in some form as an essential part of the mix. Nick is also right – the platform is also important. Currently the internet fills the needs for some listeners – but not all. Internet radio is cheap if you have laread invested in a PC and a broadband connection. The iPhone is a great solution for mobile radio – but would it work reliably in any city of the world if 10% or more of the population all decided to listen to a radio station at the same time? I beleive that radio does need a terrestrial broadcast delivery method to survive – and this platform needs to be digital in order to allow radio to evolve. We can’t just rely on the traditional analogue platforms. The choice of platform may not seem important to consumers – but it is important to the broadcast industry. If we want the cheap, ubiquitous consumer devices that free to air radio requires – we need devices that can be manufactured for a world market. If more broadcasters in more countries back a particular platform – this means more choice of receivers at lower costs in all these countries – and less confusion for consumers. I also agree that multiplexing need not be a big problem for broadcasters. In Australia the commercial radio broadcasters all have an equal share in the owner ship of the DAB+ multiplexing and transmission equipment. We don’t have a multiplex operator chargiing us for services and limiting the broadcasters flexibility to change their service offering when they wish. We also bought the multiplexing equipment ourselves up front – avoiding the finance costs hidden within a service contract. If broadcasters “collaborate on technology and [only] compete on content” these issues are not a huge problem.